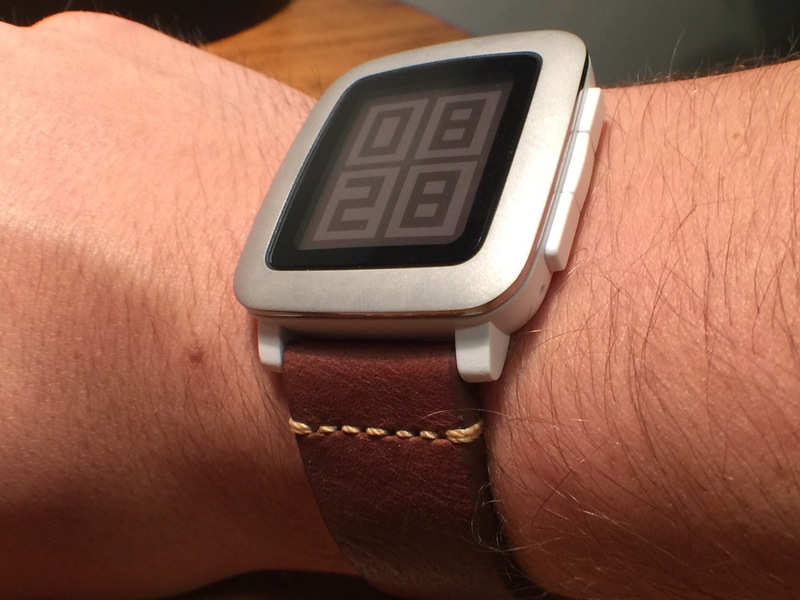 You're probably already familiar with the quick release mechanism found on the bands that came with your Pebble. 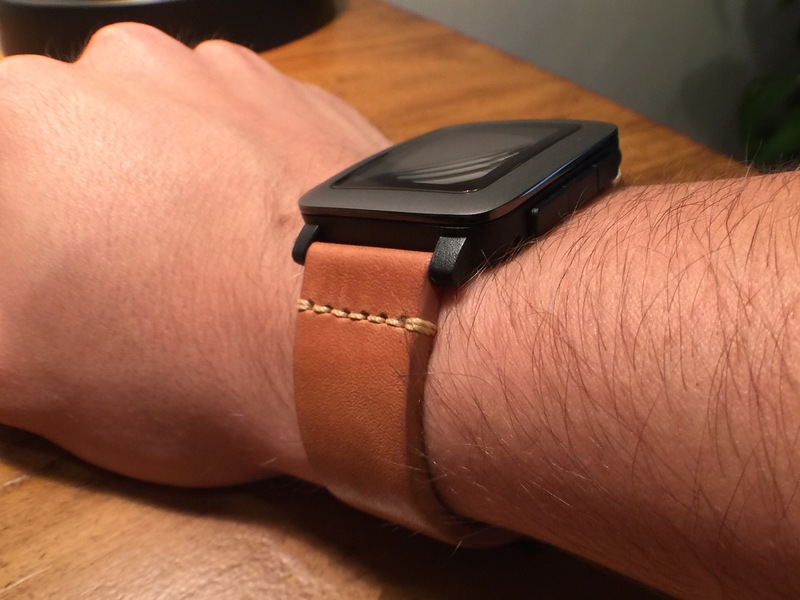 Clockwork Synergy makes quality leather watch straps with this quick release mechanism. 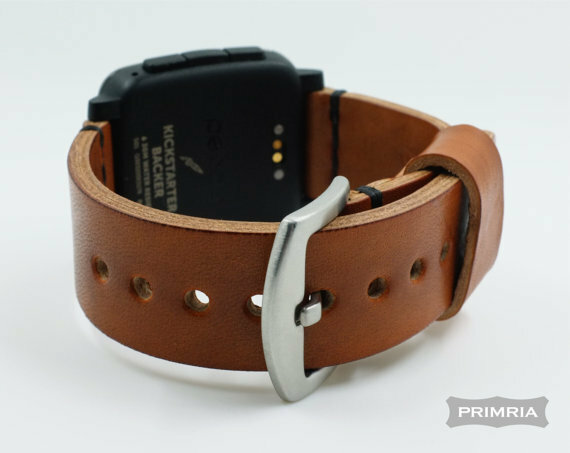 The watch straps by Clockwork synergy have a genuine worn leather finish, with raw calf backing. They appear durable but also comfortable to wear. You can pick between 5 hardware finishes for the buckle! Not only does the vintage brown look great on the Black Pebble, it also looks great on the white one as well. If you like the brown but looking for slightly lighter brown then the Saddle brown also makes a great combination on both the black Pebble and the white version. 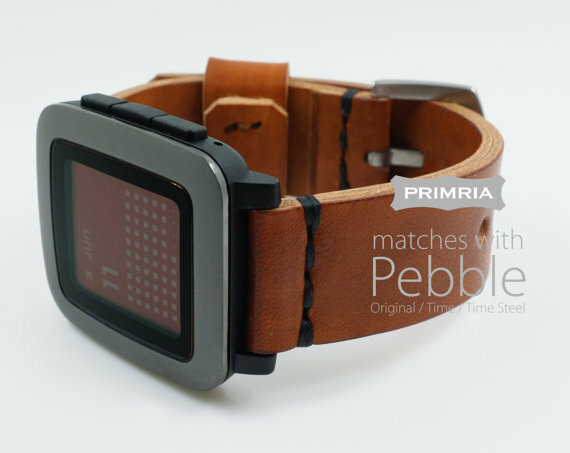 This PRIMRIA leather watchband is a standard 22mm band but it has a ton of detail and it made of high quality leather, giving a new premium feel to your Pebble Time. 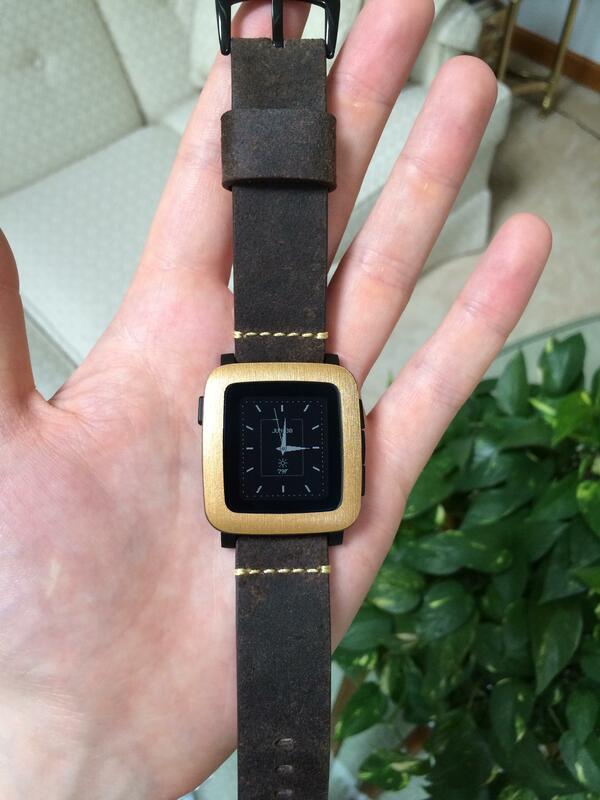 Each band is carefully hand-cut, and conditioned from highest quality full-grain, vegetable-tanned leather. The stitching is made by heavy duty waxed thread. 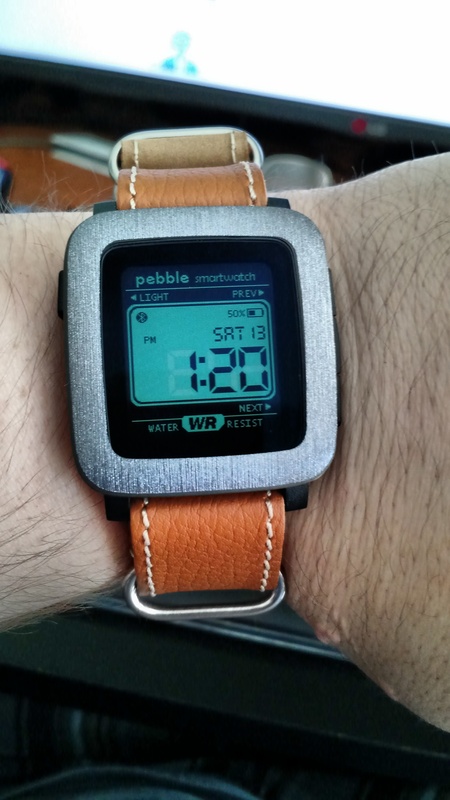 This is an excellent replacement band for the Pebble Time. It feels sturdy yet it's very lightweight. The finish matches the black watch perfectly! One of the best parts about this band is that it's easy to resize and remove links with a small flat head screw driver. Don't forget to buy a Spring Bar tool ($6 on amazon) to help install or remove the band, it helps! 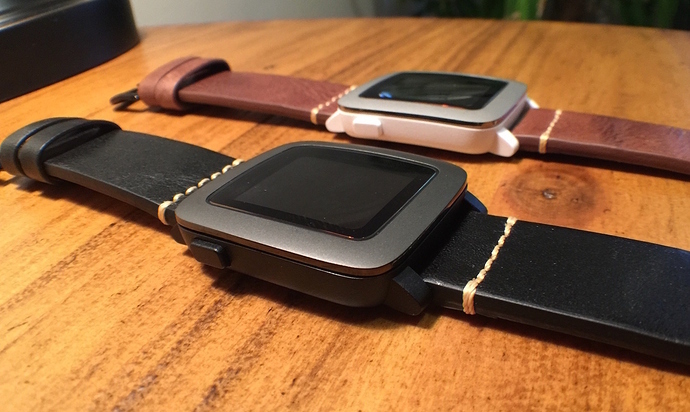 These silicone bands by GadgetWraps make an excellent every day band for your Pebble Time. 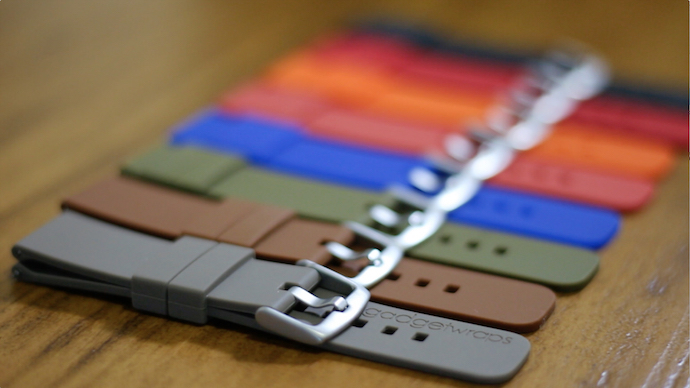 They are made of soft and durable silicone, with a nice brushed buckle that matches your watch perfectly. The best part is that they're only $20 bucks, making them a great strap for the price! 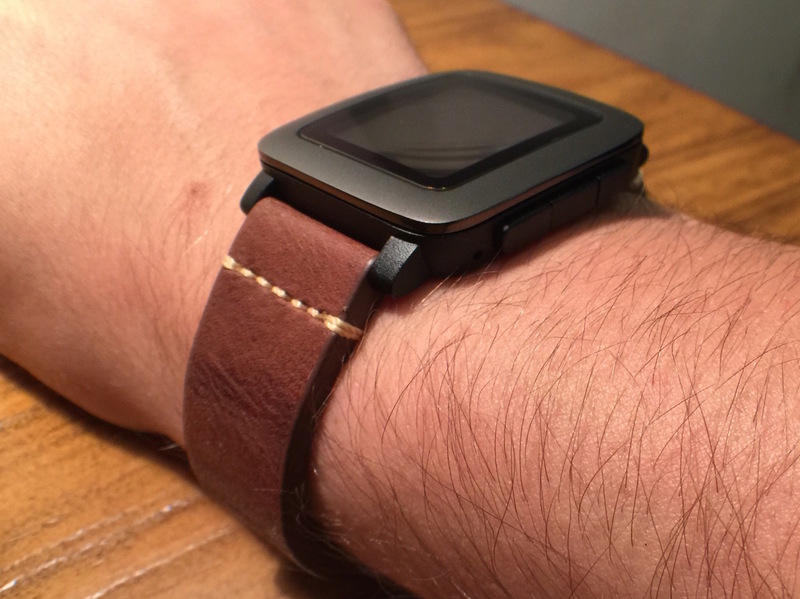 The TYLT Silicone strap is a favorite for owners of the Moto 360 and it also fits nicely on the Pebble! The clasp on the end snaps to the band itself so it stays attached and you don't have to put it through a loop. It's available in a variety of colors — Black, Blue, Purple and Olive green. 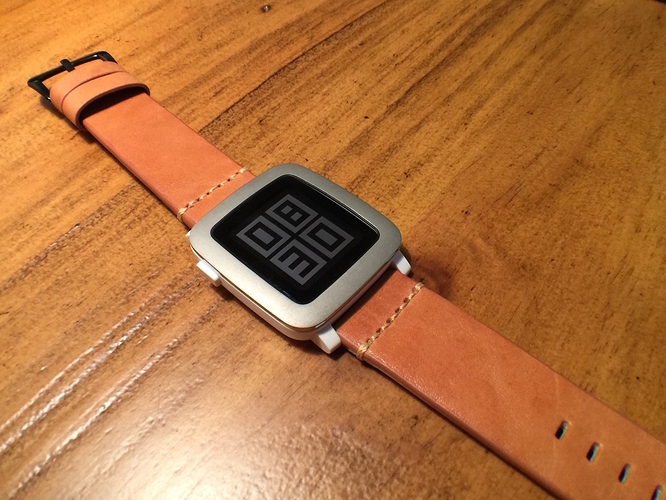 If you're looking for the best third party straps for your Pebble Time, here are some more 3rd party bands for the Pebble Time that we have gathered from a variety of sources on the web! 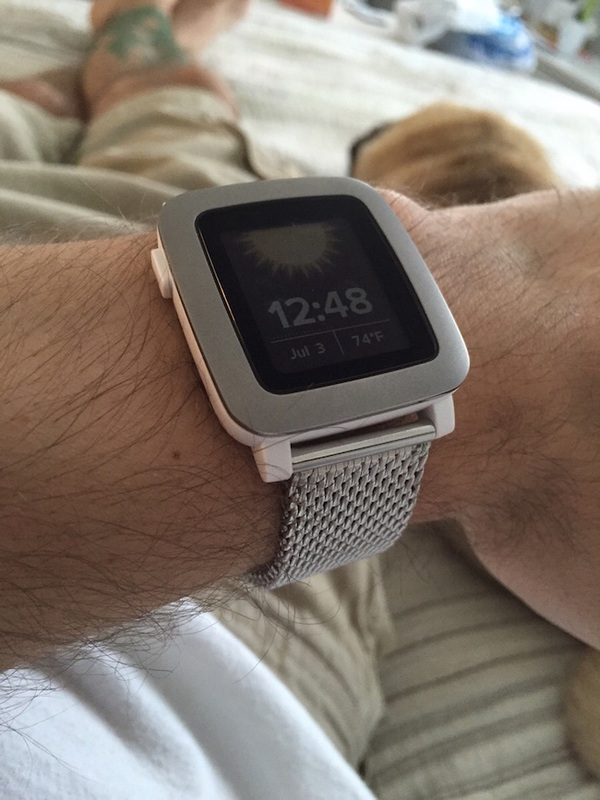 The Truffol strap is an excellent Stainless Steel band for both the Pebble Time and the Time Steel. 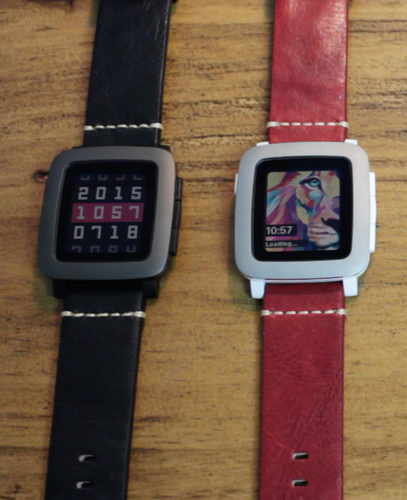 You can choose from three different 2-Tone designs (Grey with Dual Black Accents). 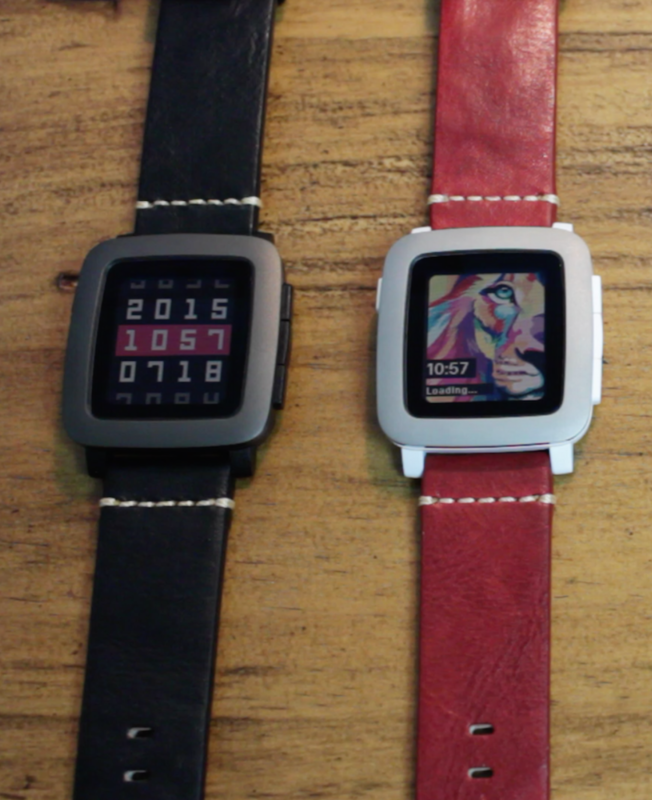 The straps are bead-blasted which gives it the same exact look and finish to the Pebble's. The bands feature quick-release pins for Easy Installation and Spring-Loaded Clasp Releases Band with a Simple Squeeze - Both Identical to the Official Pebble Bands. Finally you can get a perfect fit since this band includes a half link you can remove, and all links are removable. It comes with a free complimentary Band Shortening Tool which is a nice addition! 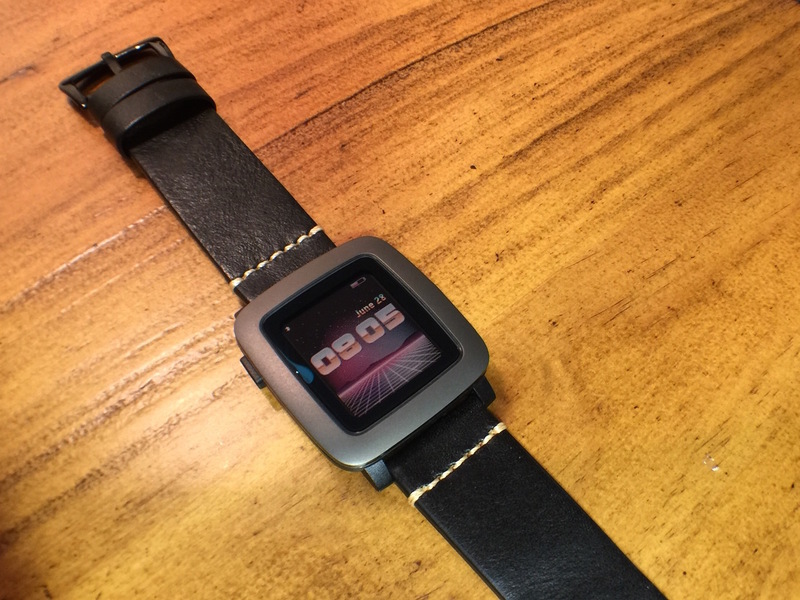 This user on Reddit made a great combo with this wrap for the Pebble Time, and paired it perfectly with a band from Clockwork Synergy. We love the bands by Clockwork, for the price you can't go wrong with this combo. Another user on Reddit is stepping up their game with another solid combo of skin wrap on the Pebble Time paired with a nice leather band. This time TheBeeve is rocking a Brushed Steel GadgetWrap along with a Tan Leather military style band. 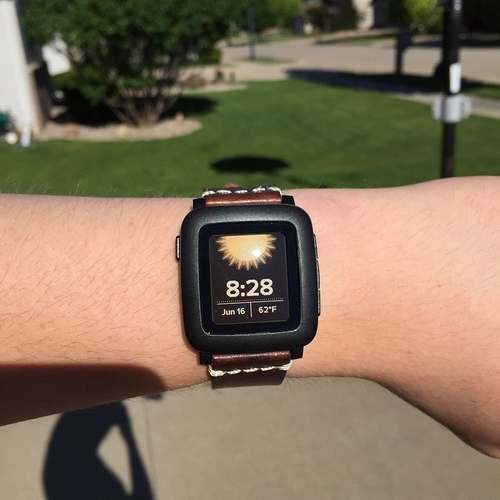 Yet another user on Reddit, nabhold is keeping it simple yet classy with a Matte Black skin from GadgetWrap matched with a Brown Leather band by Clockwork Synergy. Again we love these bands because they have quick release pins and great quality for the price. Awesome combo! An interesting take on white with steel, FriarNugle on Reddit has posted a nice milanese loop which looks great on the white Pebble Time, but this one would probably look even better on the silver Pebble Time Steel!